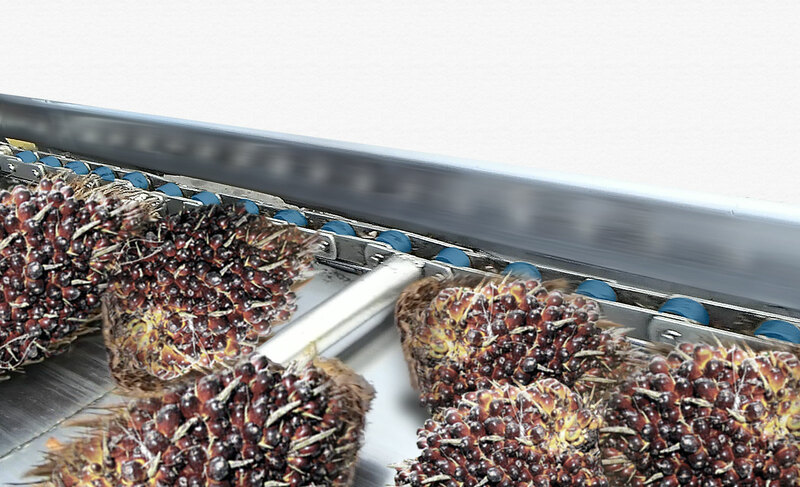 At EFB conveyor, severe problem of fruit fibre stuck in roller chain. 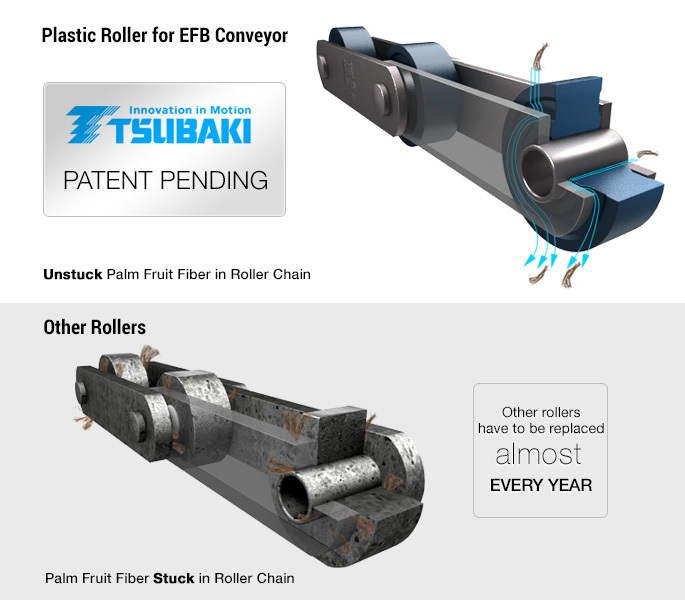 Tsubaki plastic roller can minimize fruit fibre stuck in roller chain. 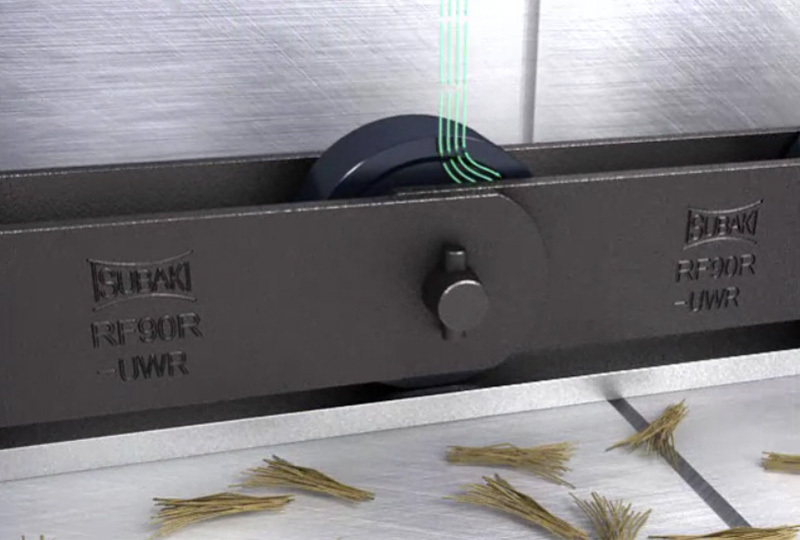 Fruit fibre stuck in roller chain causes improper rotation. 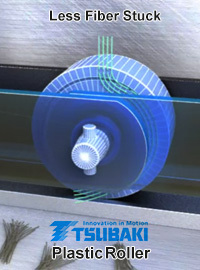 Tsubaki plastic roller ensures smooth and consistent rotation. 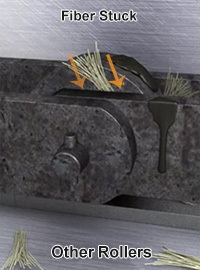 Improper rotation causes irregular wear to roller. Tsubaki plastic roller offers higher durability and less wear and tear. 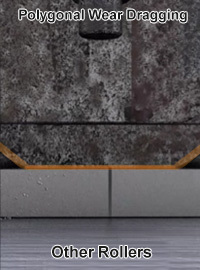 Extensive wear and tear shortens lifetime of roller and frequent replacement is necessary. 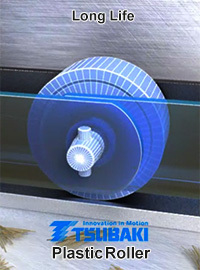 Tsubaki plastic roller lasts for longer lifetime. 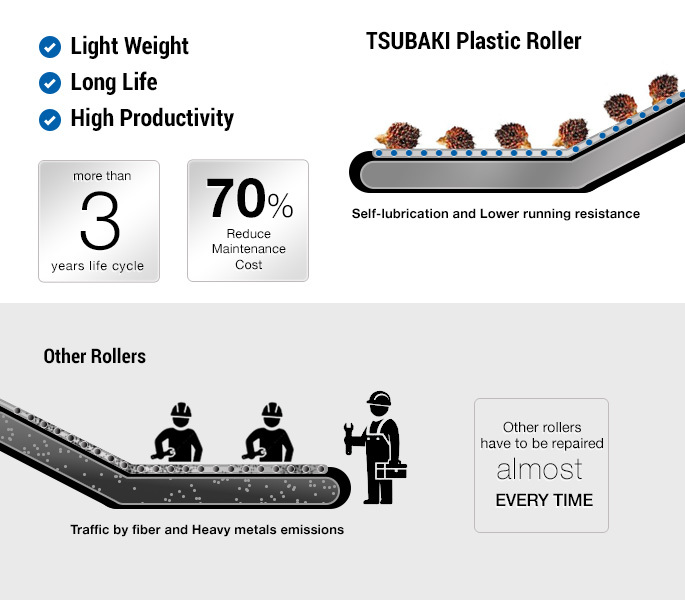 With over 90 years of chain manufacturing experience, Tsubaki is able to combine the better features of steel and plastic into one value-packed chain for less running cost. Since almost 50 years ago, Tsubaki Power Cylinders have been used across a variety of industries by a wide range of customers. 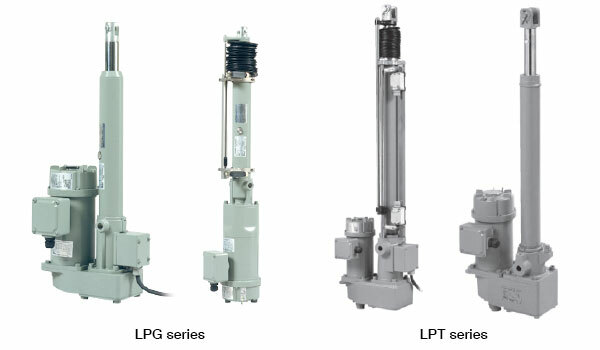 Power Cylinders can be used at the following places of a Palm Oil Mill. Just a simple electrical wiring without pump, piping and hassle-free accessories. 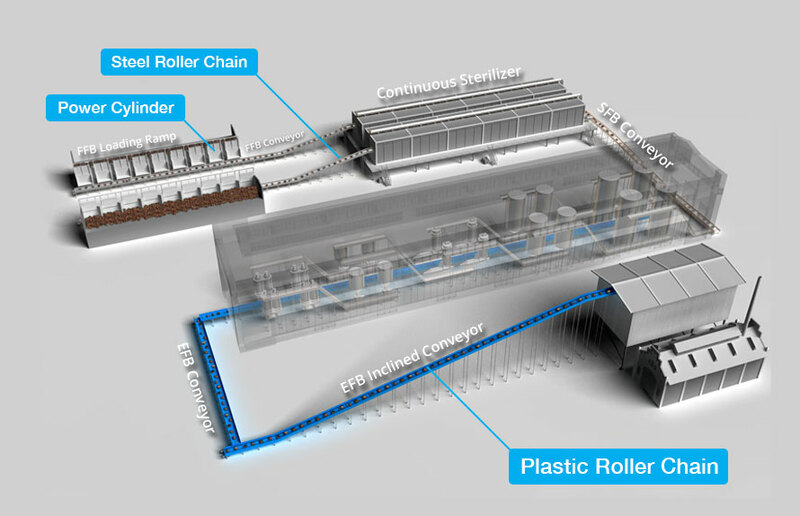 Automation Mill System. 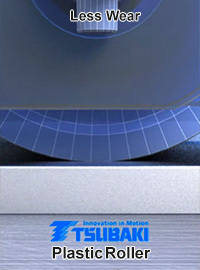 With electric power source, both single and multiple control is possible. Without oil leak and less CO2 emission. 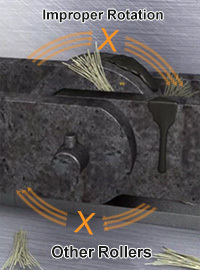 Reduce maintenance time and cost. 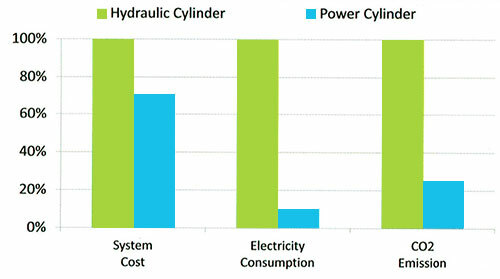 Save up to more than 90% of energy consumption. With all the above advantages, it will save both initial and running cost.